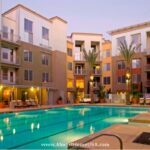 Almost Home offers a wide variety of Costa Mesa, CA corporate housing options for every short or long term furnished apartment need you may have. Contact us today to receive a temporary housing quote customized just for you in your desired area of the city. We wish to help familiarize potential newcomers to life in Costa Mesa and therefore provide the following informative summary of various aspects of this city. Take a few moments to acquire the knowledge of a long-time resident before you arrive. Those staying in corporate housing in Costa Mesa, CA for business reasons might appreciate some information about the city’s business environment. Costa Mesa has grown to a primarily suburban township with an economy driven by commerce, light manufacturing, services, and retail. South Coast Plaza provides the city with its single largest concentrated commercial center. Its sales have placed it as one of the highest volume regional shopping centers in United States. Costa Mesa’s southern quarter, is home to numbers of manufacturing industries like electronics, pharmaceuticals and plastics firms. It is also home to the Orange County Fairgrounds, which hosts one of the largest fairs in California each July. The Fair receives more than one million visitors each year. Top employers in the city include: Experian, Coast Community College District Foundation, Orange Coast College, Coast Community College District, Fairview Developmental Center, Automobile Club of Southern California, and FileNet. Knowing what clothing to bring with you to your Costa Mesa, CA furnished apartment is somewhat dependent on the local climate. Costa Mesa experiences Mediterranean conditions throughout the year, with some cooling in the winter months. Spring is mild with temperatures ranging from lows of 63°F in March to 66° in May. Summers are warm, reaching a high of 71° in July, while fall tapers off to the low 70s in October to lows of 63° in January, being the coldest month of the year. So, be sure to dress right and then venture out of your Costa Mesa, CA corporate apartment to enjoy the wide variety of outdoor activities that this area offers. Being a temporary resident in Costa Mesa, CA corporate housing need not relegate you to feeling like a complete outsider. Acquaint yourself with Costa Mesa’s history by reading our brief historical summary provided below. Costa Mesa was originally inhabited by Tongva and Luiseño tribes, before the arrival of Father Junípero Serra. The Spanish named the area Vallejo de Santa Ana (Valley of Saint Anne.) In 1776, the mission became the area's first permanent European settlement in California. Costa Mesa was originally part of Rancho San Antonio which had been granted by the Spanish. It only became part of United States after the Mexican-American War. It prospered in agriculture when it was first founded and continued that was for most of its existence. The old Spanish name finally gave way to Costa Mesa only after it became part of America's California. The name Costa Mesa is relevant to the city's geography as being a plateau by the coast. The population of the city experienced rapid growth due to the Santa Ana Army base where large numbers of Army personnel were trained before being shipped out for battle in WWII. Their families waited until they returned. Upon return these combat vets made Costa Mesa their home. Marche Moderne on Bristol Street: Marche Moderne is just as it suggests. It’s all a person’s favorite modern French food with a modern feel to go with it. This is on the higher end, but not too much either. This restaurant opens at 11:30am closes at 9:30pm. Try the short ribs. Seasons 52 on Bristol Avenue: Seasons 52 has a constantly changing eclectic menu that follows the seasons. They open at 11am and close at 10pm. Many come here for switch in menus. There is more than one reason they call their restaurant seasons. Try is the lobster flatbread. This place is moderately priced and has convenient parking. There is a wine and beer bar. Hibana on Bristol Street: This restaurant serves some of the most popular Cuban food in town. Prices are affordable. This is a high energy, party atmosphere and the restaurant stays open till 1am. Try the skirt steak. Sushi Armani on Bristol Street: Sushi Armani is a classy sushi restaurant, serving a mix of authentic and traditional Japanese cuisine. The saki bomb roll is popular. Prices are on the expensive side. It is crowded every evening. Reservations are advised. Lunch is served until 2pm and dinner is served until 9pm. AnQui Gourmet Bistro on Bristol Street: The ambiance and portions alone make many consider AnQui Gourmet Bistro which is serving up some great Asian fusion. This restaurant stays open late on the weekends, but you can expect them to be open until 10pm during the week. They don’t call it gourmet for nothing. Those visiting here can expect to pay at least thirty dollars for delectable food. It’s chic with great flavors. Stepping out of your Costa Mesa, CA temporary housing is bound to present you with numerous interesting activities. We have listed a few possible entertainment options that may appeal to you. Museum: Those who come to visit Costa Mesa will find that one museum to come check out would be The Noguchi Museum. This is surrounded by the culture of California as it is surrounded by tall buildings and some with great names that have made it far in the business industry. This was designed by a famous artist and represents the seasons of California. Theater: One of the best places to go if you are into the arts would be Segerstrom Center of the Arts. Located on Town Center Drive, the theater is busy the entire year with classical and contemporary performances. Parks: Fairview Park on Placentia Avenue is a park that many come to go hiking. The nature here will blow your breath away. Families and animals are welcome and there is plenty of space designated to setting up a picnic and enjoying the day. Whatever your reason for visiting Costa Mesa, Almost Home Corporate Housing is your best choice to provide you with a furnished apartment in Costa Mesa, CA that is perfectly tailored to meet your unique housing needs. Call us today to receive a quote or fill out our simple housing request form at the top of this page. Eastside Costa Mesa: A mere 3 miles from the beach, Eastside Costa Mesa retains all the charms of a postwar small town. Here the lots tend to be larger, and more condominiums are going up in place of the small World War II homes that had been built here. If you're looking for an Eastside Costa Mesa furnished apartment, you will be within biking distance of the Pacific Ocean, as well as nearby Newport Beach. Halecrest: Halecrest was a housing development that began in the mid-twentieth century. As one of Costa Mesa's oldest neighborhoods, it is home to many of the original residents of the city. However, Halecrest is becoming popular with young families as well, and many people in their early thirties are moving to the area. Halecrest corporate housing is comfortably furnished and in safe surroundings. Hall of Fame: Hall of Fame corporate housing is a unique blend of Tahitian and 1960s contemporary architecture. The area has many large trees and quiet interior streets. It is also close to the Halecrest Association Clubhouse. Hall of Fame will charm you with its eclectic architecture and sleepy neighborhoods. Mesa Verde: Mesa Verde furnished apartments are located in what is perhaps the most luxurious neighborhood in Costa Mesa. Originally built as a golf community, Mesa Verde surrounds the Mesa Verde Country Club, which is one of the nicest in Southern California. If you stay in a Costa Mesa furnished apartment, then you will have more time to explore all that the city has to offer. Almost Home USA has a friendly support staff on hand to make sure that your stay is worry-free. Furnished apartments free up more leisure time than any other housing option. Choosing to live in Costa Mesa is an easy decision. Deciding which neighborhood to live in should be the most difficult part of your stay. We serve the entire Costa Mesa area including Newport Beach, Fountain Valley, Huntington Beach, and Santa Ana Heights.